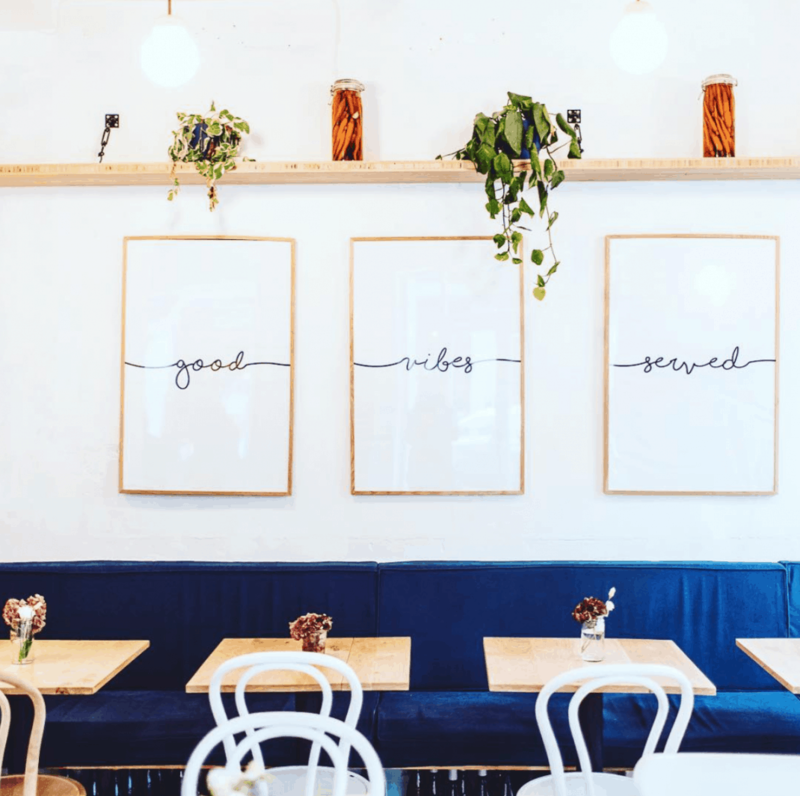 This quirky café and bar is a favourite with young Parisian locals, it’s also the perfect pit stop for a cheap traditional French breakfast in Paris! Located just a stone throw from Palais Royal and the Louvre, this homely coffee shop is the ideal place to stop for breakfast before a trip to these historic sites. Their ‘tartine’ breakfast (for a very reasonable €5.50) which gets you unlimited bread, plus their delicious selection of spreads is the perfect breakfast treat! For something a little more gourmet, the breakfasts offered by La Galerie in the luxury Plaza Athenee hotel are quite something! You can expect an impressive platter of homemade French viennoiseries, including raspberry brioche with a raspberry crust and raspberry purée filling, Chocolate brioche with a chocolate crust and chocolate filling, mini pain au chocolat… tempting, n’est-ce pas? Nothing but top notch French baking is available in this establishment! Thierry Marx is a renowned Michelin star chef with a passion of baking, with all the credentials to go with, so he really does know how to make the perfect croissant! This porridge bar, is the first of its kind in Paris. It offers a wide selection of colourful and delicious porridge bowls, available in both vegan and gluten-free varieties. This is THE new vegan and gluten-free healthy spot in Paris. We recommend you try their bullet proof coffee and crème Budwig for breakfast, as well as try one of their unusual, but tasty, cold pressed juices. This bakery prepares entirely and naturally gluten-free baked goods for you to grab the perfect kick-starter to your day! For all those who are not fully awake and ready to face the world before a good old cuppa joe, here are some of our favourite places that serve amazing coffee. This place is a coffee heaven; from the hand selected coffee beans, to the roasting techniques to the baristas skills, you are guaranteed a top notch coffee at Terres de Café. This trendy café is located inside the Swedish Institute and serves quality coffee from the local Coutume roasters. They also serve a delicious range of baked goods and have a delightful breakfast menu to enjoy alongside your tasty coffee! This café is a wonderful mélange between a boulangerie, food lab and coffee bar, serving the amazing Belleville brûlerie coffee, the local micro-roaster found here in Paris. This Melbourne style café has become one of the most popular breakfast spots in the city for trendy Parisians, so much so that there is often a lengthy wait at peak breakfast/ brunch time! Their menu is wonderfully creative and will fill you right up for the day ahead. This snug little place, as its name suggests, is a master in the art of breakfast making. They serve themed prix-fixe breakfast menus – American, English, Greek and more, which are served all day! The Scandinavian one comes with a Nordic riff on eggs Benedict (with smoked salmon), and there’s also a gluten-free version.